This solid block building has a new roof, ample parking and excess land for additional development. Clearly this is the best deal on Government Street today. The original building, constructed for Taylor Clark Gallery in the 1960’s, was designed by the renowned architect A. Hays Town and was later expanded to its current footprint. 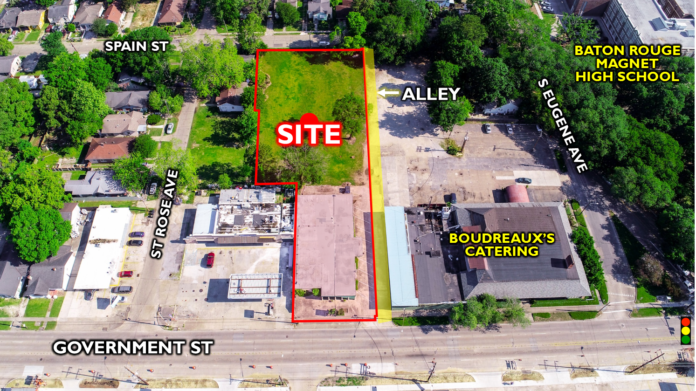 Offered for sale or lease, the 6,379-square-foot building sits on over an acre lot—an attribute that is virtually unheard of on Government Street today. Lease out the front for office or retail space and build residential or additional office on the back portion of the property. Located next to Boudreaux’s Catering and a few hundred feet from Baton Rouge Magnet High School. Click here to view the listing.